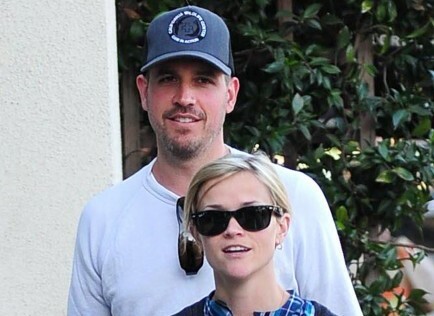 Reese Witherspoon and her husband Jim Toth ended up becoming partners in crime Friday morning, reported People. Toth got pulled over for drunk driving and Witherspoon, who was in the passenger seat, became angered by the police arresting her husband. She got out of the car after being asked not to and eventually got arrested for disorderly conduct. According to police reports, Toth was weaving across a double line, he appeared disheveled and smelled of alcohol. After taking a sobriety test, Toth blew a .139. The limit in Georgia is .08. The couple was released in bonds after a few hours of incarceration and they are awaiting a pending court date. What are some ways to support your partner who broke the law? Reese Witherspoon and husband Jim Toth have welcomed son Tennessee James Toth into the world, according to UsMagazine.com. Born about six weeks ago, Tennessee and mommy Witherspoon were seen out in Los Angeles. The couple wed back in 2011 and this is their first child together. Witherspoon has two older children with former husband Ryan Phillippe. Witherspoon’s two older kids met Tennessee when he came home from the hospital. “Deacon is excited to have a brother. And Ava can’t wait to babysit,” a source revealed. What are some ways to introduce your new baby to your other children? …Click here for more juicy details. Leading ladies, Reese Witherspoon and Kate Hudson spent some quality time together with their beaus Jim Toth and Matt Bellamy Friday night. Accompanying the pals, were Sports Illustrated model Kate Upton and her talent agent. Together the group dined at an intimate restaurant in Georgetown, Café Milano. Onlookers told People that the group “seemed to be having lots of fun.” Witherspoon was spotted laughing the night away with her friends and enjoying a delicious meal of fresh baby artichoke, lemon vinaigrette salad along with spinach fettuccine with veal Bolognese sauce. What are some advantages of going on a double date? What are some important things to remember when you marry someone with kids? …On the edge of your seat? Click for more. We were ecstatic when Reese Witherspoon married Jim Toth after her seven year marriage to Ryan Phillippe ended. It was only a matter of time before the happy couple decided to extend their blended family. Sources told UsMagazine.com, that Witherspoon is 12 weeks a long with her third child, and first child with Toth. Could Witherspoon be waiting for the right time to tell ex-hubby Phillippe and her kids Ava, 12, and Deacon, 8, about the good news? Witherspoon and Roth may be keeping their pregnancy a secret, but we can’t hold in our excitement for the couple. What are some reasons to keep your pregnancy a secret? Reese Witherspoon is my favorite actress. Not only is she a beautiful woman and a classy mom, but she also starred in Legally Blonde, a girl-power movie that I watched every day (I kid you not!) for the first three months after my divorce. I cried when Warner dumped Elle and cried again when Elle emerged triumphant at Harvard. I kept thinking, “If Elle Woods can do it, so can I.” So this year, I am cheering for Reese. She has moved on from what she called a “humiliating” and “isolating” divorce (Elle Magazine, April 2009) and has found happiness with Jim Toth and a peaceable relationship with her ex, Ryan Phillippe. The whole Water For Elephants cast, including stars Reese Witherspoon and Robert Pattinson and their significant others Jim Toth and Kristen Stewart respectively, celebrated the film’s premiere with a dinner at NYC hot spot Le Cirque, according to HollywoodLife. Stewart and Pattinson headed to the circus-themed dinner soon after being spotted smooching in their SUV following the red carpet premiere. However, the pair wasn’t the only cute couple in attendance. Newlyweds Witherspoon and Toth were spotted smiling, laughing and having a great time at the party as well. Both couples have been making headlines lately with their hectic careers in the public eye, but it’s great to see they still have time for romantic getaways, PDA and some fun! What are the benefits of a double date? How does married life feel different than the single life? …Click here for more on how to make the most of a Witherspoon-esque honeymoon. After they were spotted together earlier this month, Scarlett Johansson and Sean Penn finally decided to go public with their relationship. 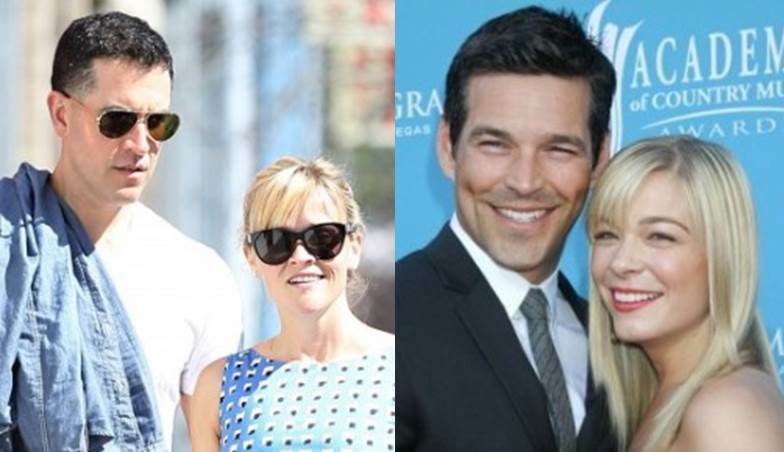 The couple was seen together on Saturday at Reese Witherspoon’s wedding to Jim Toth. After the wedding, Johansson and Penn stopped by Jimmy’s Bar at Ojai Inn. According to UsMagazine.com, an eyewitness said Johansson was uncomfortable with all the stares they got from the bar. She muttered, “This is so terrifying,” and Penn held her hand as they went to their seat. According to the eyewitness, Johansson sat in Penn’s lap and they made out in full view for 15 minutes after their table was cleared. How do you know when to go public with a relationship? Reese Witherspoon and ex-husband Ryan Phillippe could have stumbled across each other this past weekend, reports RadarOnline. Witherspoon, who was married to talent agent Jim Toth on Saturday, had her wedding at her Ojai, California home. Phillippe and new girlfriend Amanda Seyfried were vacationing at the expensive San Ysidro Ranch near Santa Barbara, a mere 30 minutes from Witherspoon’s home. Phillippe and Witherspoon share two children together: Ava, 11, and Deacon, 7. The two finalized their divorce in 2007. What are ways to tell that your ex is jealous of your new relationship? America’s sweetheart Reese Witherspoon has officially tied the knot with her agent beau, Jim Toth, at a private ceremony at Witherspoon’s ranch in Ojai, California. The two have been engaged since December. According to People, Toth is quite the family man. The Legally Blonde actress’ children, Ava and Deacon, from her previous marriage to Ryan Phillippe, took to her new husband early in the relationship. The 20-minute ceremony was preceded by a pre-wedding cocktail hour. An insider close to the couple stated that the new bride was very giddy and excited about the future. How can you make a wedding at home unique? The big day is just days away, and you can bet Reese Witherspoon is finalizing the last touches to ensure her wedding is perfect. RadarOnline reported Monday that Witherspoon met with stylist Lorri Goddard-Clark at Prive Salon to color her hair amid the dreary Los Angeles weather. The bride-to-be will marry Hollywood agent Jim Toth at her Ojai Valley ranch in California this Saturday. We’re sure this is just one of many things on Witherspoon’s wedding checklist, and we wish her the best of luck! How can you keep the pressure off right before your wedding? How do you know if your partner is family-oriented? What do you do if your partner can’t afford a nice engagement ring? What are things to consider about a second marriage?